We are offering Spiral Wound Gasket. 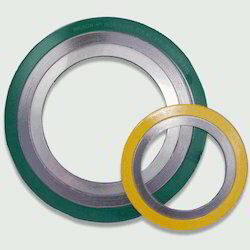 Made in compliance with the industrial norms, we manufacture a wide range of Spiral Wound Gaskets. Available in customized specifications and forms, it is designed according to requirements of end user and clients and finds its utility in stationary, industrial and railroad segments. Our Spiral Winding with Inner Ring has a metal inner ring and is suitable for both male and female flanges. This Spiral Winding with Inner Ring can withstand very high pressure and temperature situations. spiral wound gasket is the precision-engineered solution for flanged joints, heat exchangers, boiler handholes, manholes, and other high-temperature, high-pressure applications—providing resistance to virtually every known corrosive and toxic element. 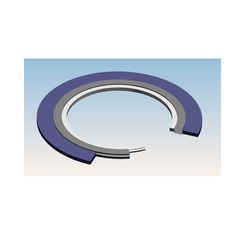 We are counted amongst reckoned names in the industry, committed towards manufacturing, exporting and supplying a broad gamut of Spiral Wound Gasket.